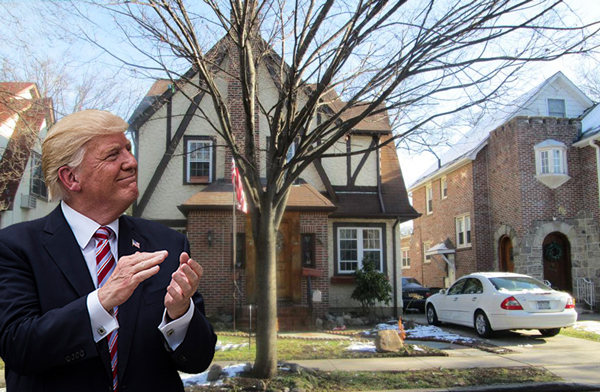 President Trump’s childhood home in Jamaica Estates found a tenant just one day after being listed for rent. The house hit the rental market on Thursday afternoon, DNAinfo reported, and was rented out almost immediately. It was asking $3,500 per month, but has fetched a much higher price, according to broker Jason Friedman of Coldwell Banker. Friedman declined to reveal the identity of the tenant or the final price, but said it was a long-term lease for at least a year. The house at 85-15 Wareham Place was built by the president’s father Fred and features five bedrooms, four bathrooms, and a five-car garage. It is listed as POTUS’ address on his birth certificate, and he is said to have lived there until he was four years old.